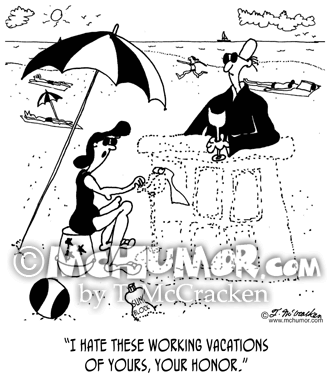 Law Cartoon 7454: A court reporter building a sand court-reporting machine on the beach says to a judge building a sand bench, “I hate these working vacations of yours, your honor." 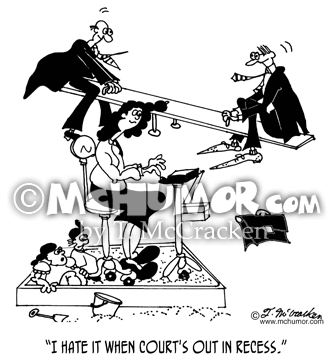 Court Cartoon 7494: A kid being pushed out of a sandbox as lawyers, judges and court reporters take over the playground says, "I hate it when court's out in recess." 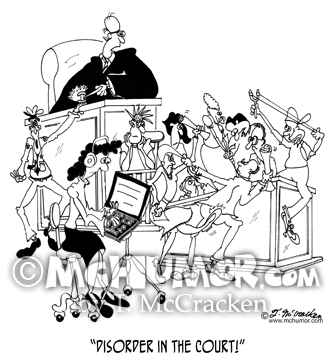 Court Reporter Cartoon 9046: A judge shouting, "Disorder in the Court!" as mayhem breaks out in a courtroom. Court Cartoon 7301: Pipes go through a courtroom. 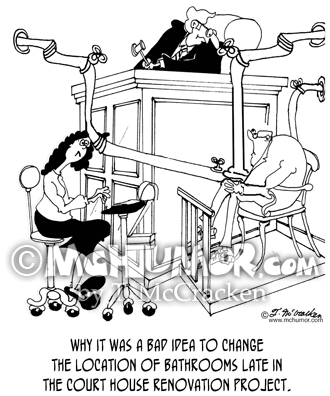 "Why it was a bad idea to change the location of bathrooms late in the court house renovation project." 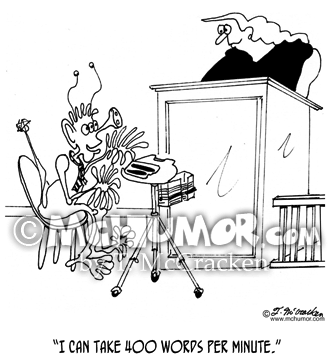 Court Reporter Cartoon 6611: A space alien court reporter with 20 fingers per hand says to a judge, "I can take 400 words per minute." 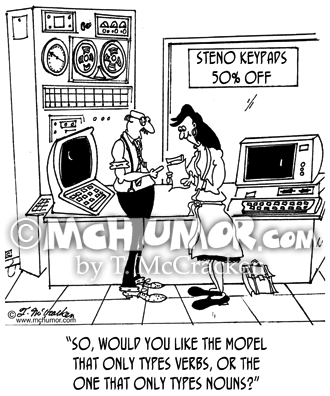 Court Reporter Cartoon 9073: At sale advertising "Steno Keypads 50% OFF" a clerk asks a customer, "So, would you like the model that only types verbs, or the one that only types nouns?" 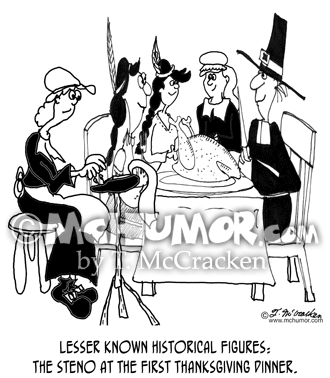 Court Reporter Cartoon 8436 "Lesser Known Historical Figures: The Steno at the First Thanksgiving Dinner." 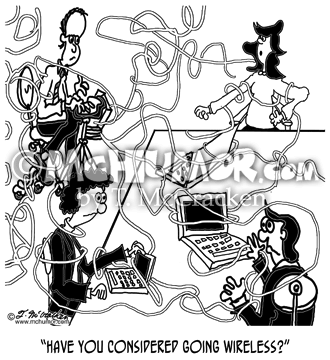 Behind Indians and Pilgrims eating dinner is someone pecking away at a steno machine. 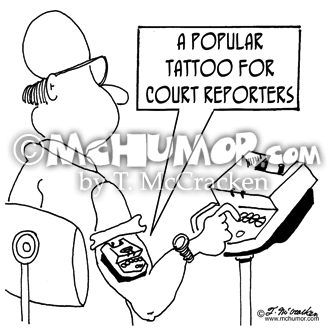 Court Reporter Cartoon 5789: "A popular tattoo for court reporters.” A nerdish man typing has a court reporting machine tattooed on his arm. 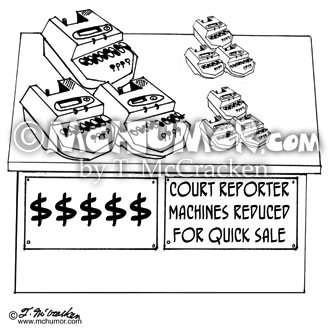 Court Reporter Cartoon 5788: Next to expensive regular size court reporting machines are very tiny ones with a sign, "Just Reduced for Quick Sale."